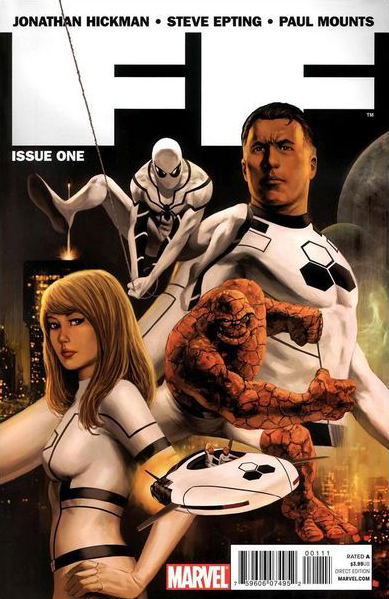 When Marvel announced a few months ago that Spider-Man would be joining the Fantastic Four – now calling themselves the “Future Foundation” in the wake of the death of their youngest team member Human Torch/Johnny Storm, I didn’t even debate my next move: I called up Marvel and subscribed to FF for the next year so I wouldn’t miss a single issue. This was more of a landmark decision for the state of my collection than it probably seems. For years, I’ve prided myself on the simplicity and consistency of my collection – it’s been Amazing Spider-Man and pretty much only Amazing Spider-Man for the last 15 years. It’s not that I don’t like other comic books, or even other Spider-Man series. When I was much, much younger, I was a lot less discriminate about which comics I picked up at the corner candy store – I did have a dollar to spend and Amazing Spider-Man only came out once a month. But as I got a little older and I realized that what I had here was the foundations of an actual “collection,” I had to set some rules for myself. I had to keep things simple here so I wouldn’t go broke, or crazy or both. I loved Spider-Man. I loved reading Spider-Man and I loved collecting Spider-Man. And since Amazing Spider-Man was the flagship title – the one with the most history – I would limit the bulk of my buying and collecting to that title. I don’t think I would have ever gotten to this point – about 20 issues away from having the entire run of ASM – without making such a definitive decision in my life many years ago. I know myself. My attention span is lacking. There’s just so much out there in terms of comic books, that if I didn’t keep myself focused, I would have been lost in a wilderness of buying. I’d just own box after box of worthless, overhype and over-printed comics from the 1990s. But something felt different about this new Fantastic Four series. Yes, I realize that Spider-Man is also technically a member of the Avengers, in a series being written by Brian Michael Bendis that is drawing both extreme praise and criticism. But Spidey and The Avengers don’t resonate with me. When I look at the current Avengers lineup and see characters like Spidey and Wolverine, it feels like a professional sports all-star game. Sure it’s entertaining to watch all these guys get together once a year, but you wouldn’t want to see it every night. 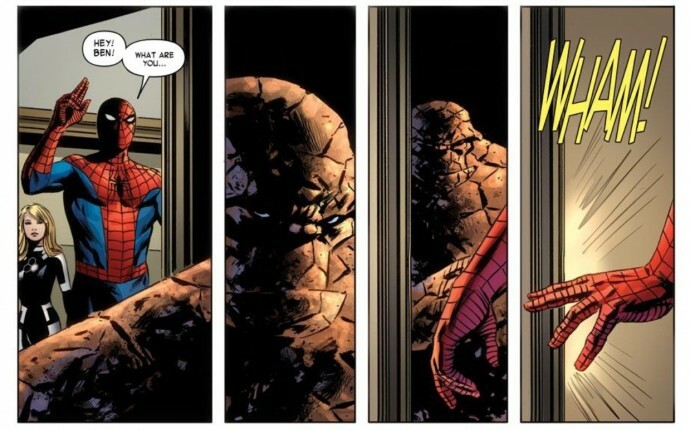 Last week, I touched upon the long-running relationship between Spider-Man and the Fantastic Four, dating back to the first issue of ASM. That obviously plays a role in my decision to start collecting FF. 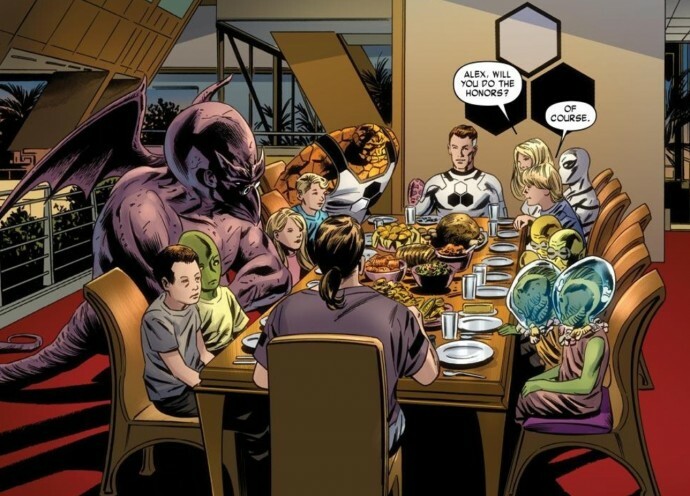 There’s something about having Spider-Man join the Fantastic Four that feels symmetrical. Like all these years later, Marvel is finding a new way to honor the roots of their flagship character. How often can you reach back to a storyline that debuted in 1963 and it still feels relevant nearly 50 years later? Additionally, as I’ve searched my memory the past few weeks, I’ve realized that the Fantastic Four were almost as important to my childhood as Spider-Man. I always respected that the Fantastic Four were the Silver Age’s first team of heroes. Many of the era’s most important storylines and characters originated in the pages of that comic. Plus, the group, collectively had it all: the brains of Reed Richards/Mr. Fantastic, the strength of Ben Grimm/The Thing, the wit and banter of Johnny Storm/Human Torch and an honest-to-goodness female hero in Sue Storm/Invisible Woman. Just their appearance in a comic made my young-self think that something important was about to happen, because that much superhero talent doesn’t just show up on a scene without a good reason. And unlike The Avengers, these four were always a team. They weren’t just a gang of heroes that decided to unite along the way. And of course I remember the cartoons. When I was around 5 or 6, my father surprised me one day with a bunch of VHS tapes of classic Marvel cartoons from the 1960s, including Spider-Man, Captain America and the Fantastic Four. While gathering my thoughts for this post, I looked up the old intro to the Fantastic Four series and it all came rushing back to me – the high-tension theme music, that weird “wom” sound Invisible Woman made whenever she used her powers, the oversized Doctor Doom being upended up The Thing. I hadn’t thought about any of this for at least two decades, and just those brief sights and sounds brought me back to being parked on the green carpet in my living room, watching these cartoons on a lazy Saturday afternoon.